The most important decision you will make for your dog is what to feed her. The right food will lay the foundation for good health for her entire life. Nutritious food can also be a valuable weapon in the fight against many diseases. In this article, we will help you choose the best dog food for PitBulls. To do that, we will give you facts, suggestions, and Pit-specific recommendations on the most nutritious diet for all her life stages. Keep reading for our expert advice on feeding your Pit Bull. We have gathered our expert opinion here for the best dog food for Pit Bulls in four life stages. Pet parents like this food because their dogs love the taste. Others have mentioned in reviews that it has cleared up skin problems with their Pits and freshened their dog’s breath. Wellness uses whole foods in their pet food products. These real foods (such as deboned meats with no added hormones or steroids, whole grains, fresh fruits, and vegetables) provide protein, energy, vitamins, and minerals for your Pittie’s healthiest diet. 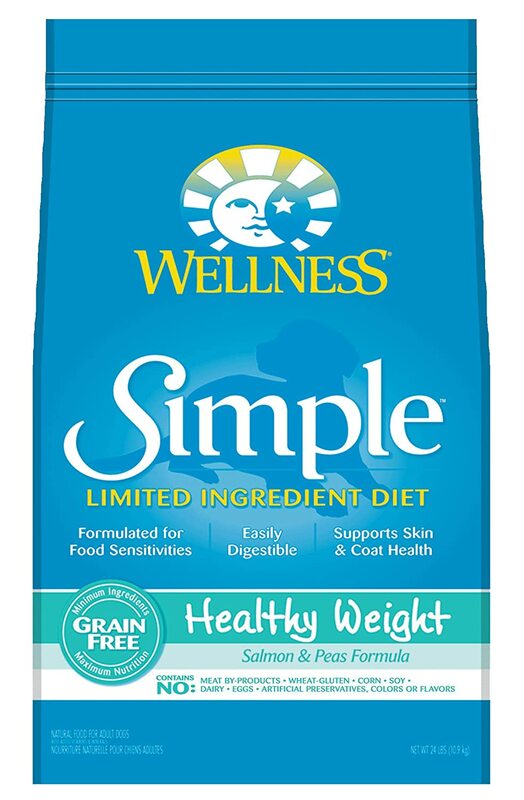 All Wellness Simple formulas are free of corn, soy, and wheat (all potential allergens), and no Wellness dog food ever has meat by-products or animal fats. Consumers have reported their dogs love the taste of this food. Others have said it has been effective in helping their overweight Pit Bull to lose weight sensibly. As your Pit Bull ages, her activity level will usually taper off. She will become a little more of a couch potato and require a food that contains a lower amount of protein and fat calories. But, she’ll still need the energy that Canidae Senior Formula provides with nutritious carbohydrates. 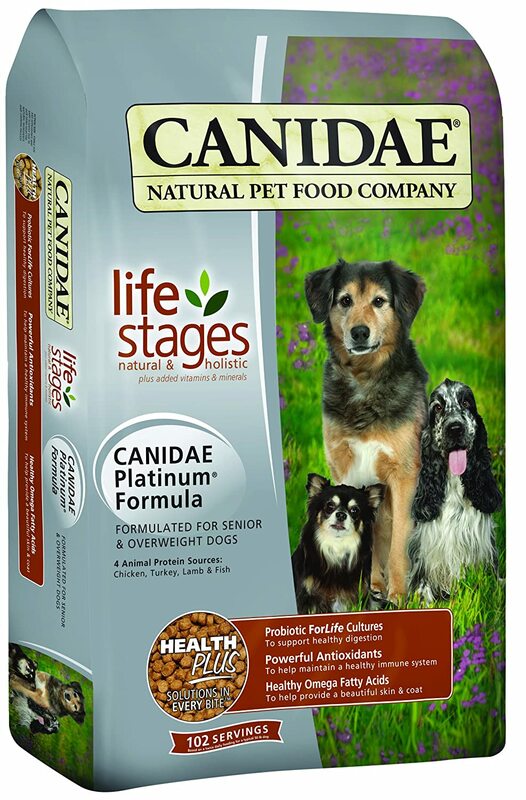 Canidae Life Stages Platinum includes probiotics for healthy digestion and antioxidants for a healthy immune system. Your puppy Pit Bull needs a pet food that will provide controlled growth during her first 18 months of life. Rapid bone or muscle growth will predispose the dog to skeletal deformities. 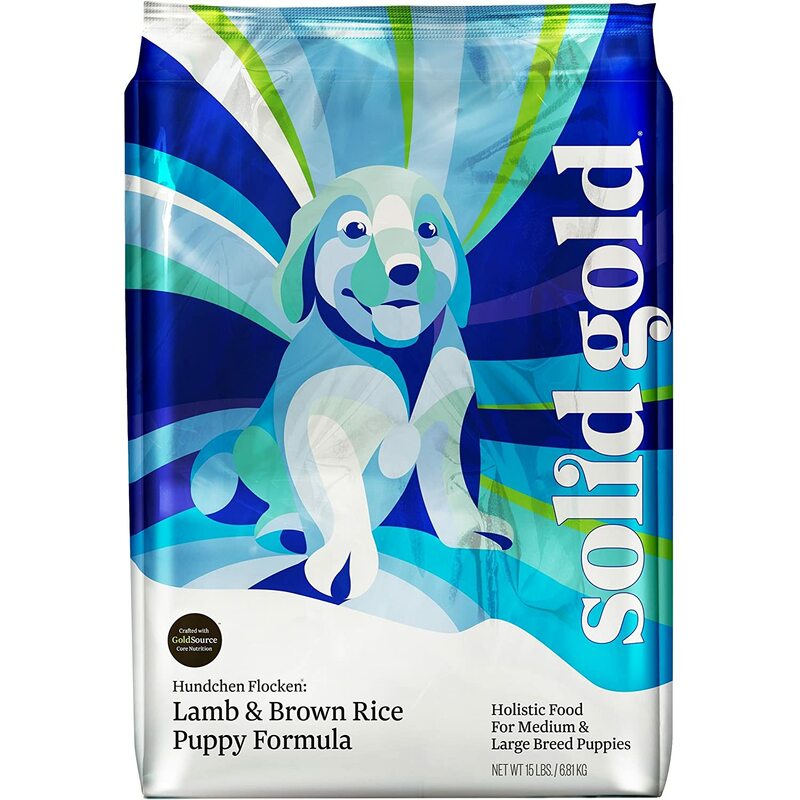 This Solid Gold puppy formula uses the finest New Zealand lamb for high density, but appropriate levels, of protein. Egg is included to provide a second source of high-quality protein and fat. Contains super-food ingredients like carrots, lentils, and blueberries. Includes vitamins C and E as antioxidants for immune system support. Contains natural probiotics and prebiotics to support digestive health. Reviewers rave about Hundchen Flocken puppy formula. Many report their puppy’s dry coat and flaky skin cleared up soon after starting the diet. People say their dog loves the taste of the food. Great customer service from Solid Gold was also a frequent comment. Before we can choose the best diet for your precious Pit Bull, we first have to look at the special nutritional requirements of her body. That means a look at the history of the breed. Pits haven’t always been the muscled, meaty-type dog we tend to associate with the breed today. When they were first introduced to America, early immigrants brought them over from England and they were on the small side. In the States, they were valued as protection for homesteads from predators and used on family farms as helpers. As such, they needed to be agile and have the stamina for long days of work. Pitties were also the trusted babysitters of small children, who were their constant companions. The earliest Pit Bulls were used as bait dogs in the U.K. to aggravate bulls for entertainment in the early 1800s. This practice was made illegal in 1835 and people then began using the dogs for fighting each other. By the early 1900s in America, people were seeing the Pit Bull much less for its fighting ability, however. In many photographs from the time, Pits were part of the family group pictured in homes and surrounded by children. They were the “All American Dog” of the day. The decades of the 1980s and ‘90s were hard on the breed. Pit Bulls were getting a lot of undeserved bad press because of the actions of inhumane owners who were making the dogs fight for profit. The breed has slowly made a comeback, however. They are once again found in loving homes of families all over the country. As their jobs have changed over the decades, the Pit Bull’s body has also changed. They are no longer the small, agile 30-pound dog of the early 1900s. Today’s Pittie is usually a husky 60-75 pounds or more. Depending on her activity level, sometimes that body weight is made up of a lot of muscle. To maintain the muscle mass, she needs to eat a diet rich in highly-digestible protein. However, if she’s more of a couch snoozer, her diet must be adjusted or she will put on unwanted weight. Let’s take a look at the key components of a nutritious diet for your Pit Bull. Protein — to form strong muscle; promotes organ and tissue growth. Carbohydrates — will give her energy and contains fiber to promote “full” feeling. Fat— to provide complex energy and absorb vitamins; also for healthy skin and coat. Vitamins and minerals — necessary to lay the foundation for great health at the cellular level. You might wonder, what is meat meal? It is the product left over after the moisture has been removed from raw animal tissues. Meat meal contains about 10% moisture. It is the most concentrated form of animal protein available in dog foods. High quality meat meal is a very important component of your Pit Bull’s nutritional needs. Carbohydrates in your Pittie’s diet provide energy in the form of glucose. Quality carbs are easily digested and will provide heat when metabolized. Also, carbohydrates from whole grains provide slower-digestible fiber. This fiber helps your dog feel full longer and promotes growth of healthy probiotic bacteria in the gut. Your special Pit girl needs dietary fat to provide most of her energy. The energy from fats in her diet is more important than what comes from protein or carbs. Dogs convert dietary fats into glucose. The best dog food for Pit Bulls will contain good sources of omega-3s and omega-6s. These are essential fatty acids. Omega-3s to look for are fish oils, like herring and salmon. Others are plant-based, such as flaxseed oil and canola oil. Vital omega-6s are poultry fat, safflower and sunflower oils, and vegetable oils. Vitamins and minerals are important ingredients for bone and teeth growth. A dog’s body does not produce these nutrients on its own. Both of these important elements should be provided in her diet. Giving supplements of vitamins and minerals is not wise. There is a risk of poisoning your Pit with these supplements. Cheap Food vs. Premium Food — Is There A Real Difference? There is a huge variety of foods on the market, each promising something different. 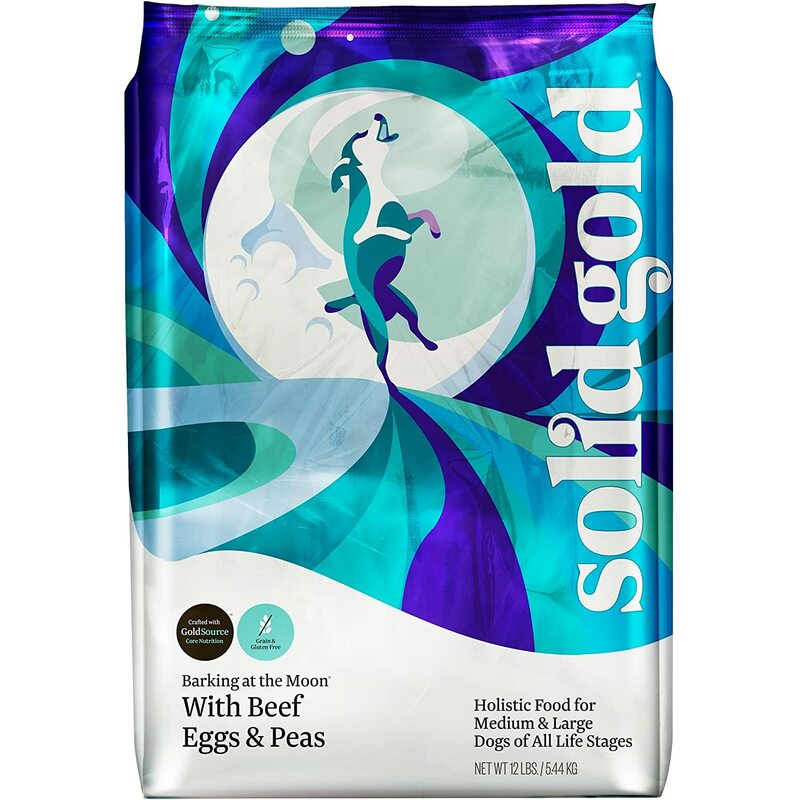 “Complete and Balanced Nutrition”; “Beautiful and Shiny Coat”; “Extra Support for Healthy Joints”. The guarantees are endless, but do these food companies deliver what they say they will? If you are buying the cheap brands from the grocery store, they definitely do not. Inside the bag or can are fillers, chemicals, and junk with no nutritional value. Is there an alternative for feeding your sweet Pittie? Yes, and it’s sold in pet specialty stores. Premium pet food has ingredient lists which are full of things you can actually pronounce: beef, carrots, apples, flaxseed, etc. Many manufacturers of these foods use components safe for humans to eat. Some are even organically grown. Better ingredients mean more nutritionally solid pet food. More nutritious food means you don’t have to feed as much as the inferior food for your dog to be satisfied. This also means you will have less waste to pick up on your potty walks. That’s because your Pit will be using more of the food to fuel her body. Better food isn’t just about a difference in purchase price. You will also notice results when visiting the vet. Since nutrition is the foundation of a healthy dog, your beautiful Pit will thrive while eating food that’s good for her. A healthy dog means less need to visit the vet for illness.